Winks Thinks: The Apology Edition ~ The Bucky Channel - The World of Sports from Wisconsin's Perspective. Not everyone has been happy with the subjects I've chosen to write about lately here at The Bucky Channel, and this week I finally face the music and apologize for my actions. At least, most of them. I also reveal which hockey team I will be following next year, comment about the U.S. soccer's big win against Spain, and have some parting words for the guy behind "Boom Goes the Dynamite". 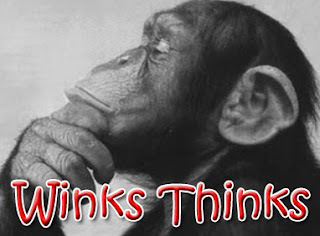 All that and more, in this week's edition of Winks Thinks.